OSRAM is nominated for Norwegian Lighting Design Award 2018 with the project Træna Urban lighting. Træna Urban Lighting is a pilot project that wants to promote more conscious use of lighting and lighting design. The project wants to try out the importance and influence of these measures in the outskirts and rural societies (in northern Norway). In Northern Norway in the winter times there is hardly any day light at all, the qualities such as untouched nature and Northern Lights are an important part of the identity and character of the place. Emphasis has been placed on user interaction and local cooperation before, during and after engineering, to develop locally grounded and durable lighting solutions. The project contributes to both dissemination and awareness of the use of lighting, lighting design and participation processes as drivers for the location development in outskirts-Norway. The project arouses involvement and great interest among municipalities, the tourism industry and city developers. Read more about the Norwegian awards here. ‘Træna Urban Lighting’ is a pilot project initiated by OSRAM’s project manager Hilde Sofie N. Olaisen, with all lighting design done by our designer Bulut Büküm. 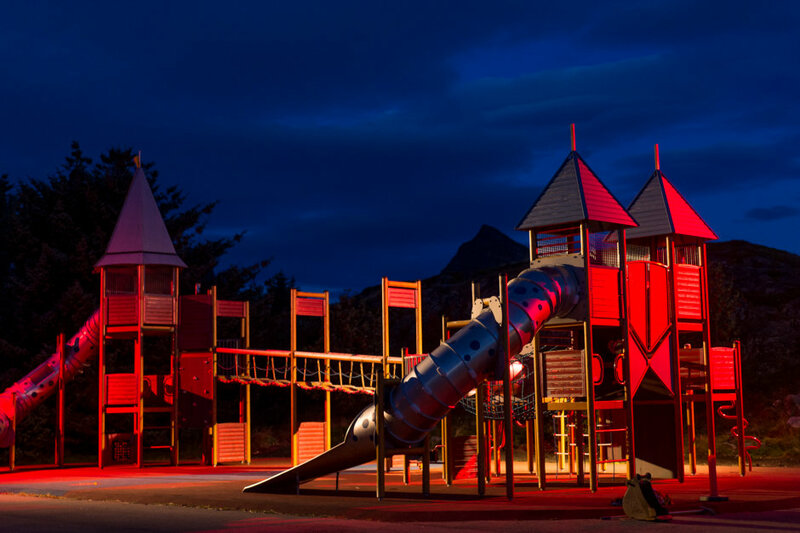 All work was done in close collaboration with the municipality of Træna, with the aim of promoting a more deliberate use of lighting and lighting design.